Despite having its detractors, it is clear that Activision’s Call of Duty franchise is one of the most popular and best-selling in video game history. After all, last year’s Call of Duty: Black Ops III was a big hit, and turned out to be the year’s top-selling video game according to venturebeat.com. Although some were disappointed that Treyarch’s latest Call of Duty game also had a futuristic setting like 2014’s Call of Duty: Advanced Warfare, and not a World War II or Cold War setting as earlier games in the series. And it looks likely that future Call of Duty games will be taking the sci-fi route in the future, as it is rumoured that an upcoming game in the series will be set in space. But at least Call of Duty’s much-loved zombie mode in Black Ops III had a film-noir atmosphere, being set in the 1940’s, and thankfully was also a blast to play like in other Call of Duty games. And now game creators Treyarch will be continuing the Zombies narrative in the upcoming Eclipse DLC, which features Origins heroes Dempsey, Nikolai, Richtofen and Takeo. 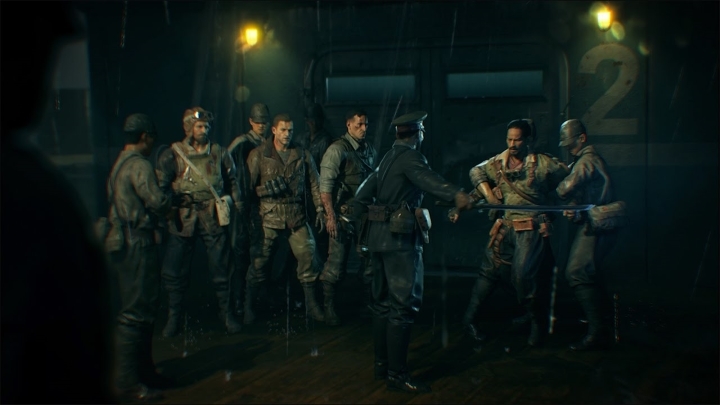 The DLC takes place on the island of “Zetsubou No Shima”, with the heroes exploring a research lab “where experiments with Element 115 have created horrors beyond belief” according to the Eclipse DLC’s official description. This DLC will include new side quests that flesh out the storyline, as well as “terrifying new enemies” and “more devastating traps”. Aside from the new Zombies adventure, this DLC also includes four new multiplayer maps named Verge, Rift, Spire and Knockout. The Verge map is based on the Call of Duty: World at War map Banzai, and according to Activision is set in a “distant post-apocalyptic future”. Note: The Eclipse DLC for Call of Duty: Black Ops III will be released on PlayStation 4 on April 19, 2016. It will be available on Xbox One and PC at a later date. This DLC forms part of the game’s season pass, but is also available separately.